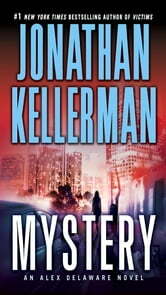 BONUS: This edition contains an excerpt from Jonathan Kellerman's Victims. The closing of the grand old Fauborg Hotel in Beverly Hills is a sad occasion for longtime patrons Alex Delaware and Robin Castagna, who go there one last time for cocktails. But even more poignant—and curious—is a striking young woman in elegant attire and dark glasses, alone there and waiting in vain. Two days later, police detective Milo Sturgis comes seeking his psychologist comrade’s insights about a grisly homicide. To Alex’s shock, the brutalized victim is the same beautiful woman whose lonely hours sipping champagne at the Fauborg may have been her last. But when a sordid revelation finally cracks the case open, the secrets that spill out could make Alex and Milo’s best efforts to close this crime not just impossible but fatal. Really enjoying this author I just started reading seriously one book ago. I liked his inclusion of a private case which allowed the reader to see how a child psychologist operates, which gives the reader time away from who the mystery killer was. I like the fact that he (Kellerman) provides the reader information about human anatomy that most medical wouldn't know off hand. Really good read. A page turner that doesn't allow for TV watching! LOL. The absolute definition of a real mystery!!! A truely great read. Plenty of twists and turns to keep you guessing. Alex and Milo have done it again. I have read a number of Kellerman's books, but I did not enjoy Mystery as much as the others. This is definitely not one of his better works.